Dell - 9P036 DELL - 100/200GB LTO-1 SCSI LVD LOADER TAPE DRIVE (9P036). IN STOCK. SHIP SAME DAY. IBM - 59P6685 IBM - 100/200GB LTO ULTRIUM SCSI/LVD INTERNAL HH TAPE DRIVE (59P6685). IN STOCK. SAME DAY SHIPPING. 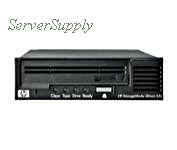 Dell - P7818 DELL - 100/200GB LTO-1 SCSI/LVD INTERNAL FH TAPE DRIVE (P7818). IN STOCK. SAME DAY SHIPPING. IBM - 48P7046 IBM - 100/200GB LTO-1 SCSI/LVD INTERNAL FH TAPE DRIVE (48P7046). IN STOCK. SAME DAY SHIPPING. IBM - 24P2401 IBM - 100/200GB LTO ULTRIUM 215 SCSI/LVD INTERNAL HH TAPE DRIVE (24P2401). IN STOCK. SAME DAY SHIPPING. 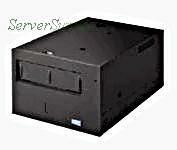 Sony - TSL-A300C SONY - AIT1 AUTOLOADER 100/200GB INTERNAL SCSI 68 PIN TAPE DRIVE (TSL-A300C). IN STOCK. SHIP SAME DAY. 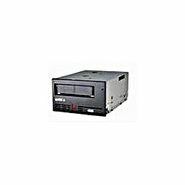 Sony - TSL-SA300C SONY - 100/200GB AIT SCSI EXTERNAL AUTOLOADER TAPE DRIVE (TSL-SA300C). IN STOCK. SHIP SAME DAY. Dell - 9G767 DELL - 100/200GB LTO-1 INTERNAL SCSI LVD TAPE DRIVE (9G767). IN STOCK. SHIP SAME DAY. 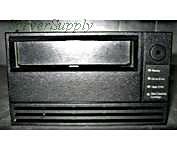 Dell - 04R340 DELL - PV110T 100/200GB LTO-1 SCSI/LVD STAND ALONE EXTERNAL TAPE DRIVE (04R340). IN STOCK. SHIP SAME DAY. Hewlett Packard - Q1543A HP/COMPAQ - ULTRIUM 215 100/200GB LTO SCSI INTERNAL CARBON TAPE DRIVE (Q1543A). IN STOCK. SAME DAY SHIPPING. 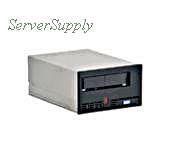 IBM - 08L9340 IBM - 100/200GB LTO SCSI/LVD FH LOADER READY TAPE DRIVE (08L9340). IN STOCK. SHIP SAME DAY. Hewlett Packard - C7369-00906 DELL - 100/200GB LTO-1 ULTRIUM INT FH SCSI/LVD TAPE DRIVE (C7369-00906). IN STOCK. SAME DAY SHIPPING. Dell - 04R338 DELL - ULTRIUM 230 100/200GB LTO SCSI LVD INTERNAL TAPE DRIVE (04R338). IN STOCK. SHIP SAME DAY. 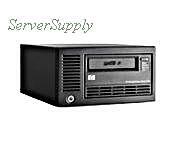 Dell - 4R338 DELL - ULTRIUM 230 100/200GB LTO SCSI LVD INTERNAL TAPE DRIVE (4R338). IN STOCK. SHIP SAME DAY. 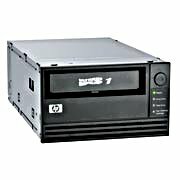 Hewlett Packard - C7400-69301 HP/COMPAQ - 100/200GB STORAGEWORKS ULTRIUM 230 LTO1 SCSI TAPE DRIVE (C7400-69301). IN STOCK. SAME DAY SHIPPING. Hewlett Packard - Q1543-60001 HP/COMPAQ - 100/200GB LTO ULTRIUM 215 SCSI LVD INTERNAL TAPE DRIVE (Q1543-60001). IN STOCK. SAME DAY SHIPPING. Hewlett Packard - 336854-001 HP/COMPAQ - ULTRIUM 215 100/200GB LTO SCSI INTERNAL CARBON TAPE DRIVE (336854-001). IN STOCK. SAME DAY SHIPPING. 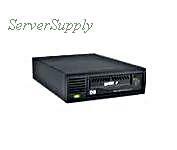 Dell - 06W174 DELL - LTO 100/200GB SCSI LVD LOADER READY TAPE DRIVE FOR PV136T (06W174). IN STOCK. SHIP SAME DAY. IBM - 24P2446 IBM - 100/200GB LTO ULTRIUM 215 SCSI/LVD INTERNAL HH TAPE DRIVE (24P2446). IN STOCK. SAME DAY SHIPPING. IBM - 24P7269 IBM - 100/200GB LTO SCSI/LVD INTERNAL HH TAPE DRIVE (24P7269). IN STOCK. SAME DAY SHIPPING. 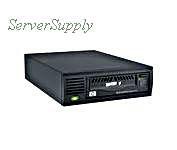 Hewlett Packard - C7369-00821 HP/COMPAQ - 100/200GB LTO ULTRIUM 230 SCSI/LVD INTERNAL FH LOADER READY TAPE DRIVE (C7369-00821). IN STOCK. SAME DAY SHIPPING. 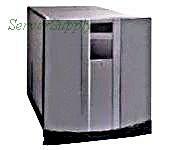 Seagate - STL6200000W SEAGATE - 100/200GB AIT-1 SCSI LVD/SE EXTERNAL 4-SLOT AUTOLOADER (STL6200000W). IN STOCK. SAME DAY SHIPPING. IBM - 59P6717 IBM - 100/200GB LTO ULTRIUM SCSI/LVD INTERNAL HH TAPE DRIVE (59P6717). IN STOCK. SAME DAY SHIPPING. IBM - PD035-10401 IBM - 100/200GB LTO-1 SCSI LVD INTERNAL HH TAPE DRIVE (PD035-10401). IN STOCK. SHIP SAME DAY. Hewlett Packard - Q1543-69201 HP/COMPAQ - 100/200GB LTO ULTRIUM 215 HH SCSI LVD INTERNAL TAPE DRIVE (Q1543-69201). IN STOCK. SAME DAY SHIPPING. 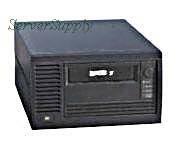 Hewlett Packard - 336855-001 HP/COMPAQ - 100/200GB STORAGE WORKS LTO ULTRIUM 215E SCSI LVD EXTERNAL TAPE DRIVE (336855-001). IN STOCK. SHIP SAME DAY. 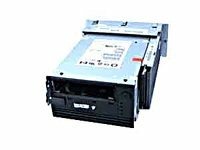 Hewlett Packard - Q1545-69201 HP/COMPAQ - STORAGEWORKS ULTRIUM 215 LTO-1 100/200GB SCSI EXTERNAL LOW VOLTAGE DIFFERENTIAL TAPE DRIVE (Q1545-69201). IN STOCK. SAME DAY SHIPPING. IBM - C7377-03012 IBM - 100/200GB LTO ULTRIUM 215 SCSI/LVD INTERNAL HH TAPE DRIVE (C7377-03012). IN STOCK. SAME DAY SHIPPING. IBM - 39M5635 IBM - 100/200GB LTO ULTRIUM-1 SCSI LVD INTERNAL HH TAPE DRIVE (39M5635). IN STOCK. SHIP SAME DAY. IBM - 24P2400 IBM - 100/200GB LTO-1 ULTRIUM SCSI LVD INTERNAL HH TAPE DRIVE (24P2400). IN STOCK. SAME DAY SHIP. IBM - 71P9126 IBM - 100/200GB LTO SCSI-2 LVD/SE INTERNAL FH TAPE DRIVE (71P9126). IN STOCK. SHIP SAME DAY. Hewlett Packard - 301566-001 HP/COMPAQ - 100/200GB STORAGEWORKS 230 LOW VOLTAGE DIFFERENTIAL SCSI (LVDS) LINEAR TAPE OPEN (LTO) ULTRIUM INTERNAL TAPE DRIVE FOR PROLIANT (CARBON BLACK) (301566-001). IN STOCK. SAME DAY SHIPPING. IBM - C7377-03010 IBM - 100/200GB LTO-1 SCSI/LVD INTERNAL HH DRIVE (C7377-03010). IN STOCK. SHIP SAME DAY. IBM - 24P2396 IBM - 100/200GB LTO ULTRIUM SCSI LVD INTERNAL HH TAPE DRIVE (24P2396). IN STOCK. SHIP SAME DAY. Hewlett Packard - C7470B HP/COMPAQ - STORAGEWORKS ULTRIUM 230M 100/200GB LTO-1 SCSI LVD/SE HOT SWAP INTERNAL TAPE ARRAY MODULE (C7470B). IN STOCK. SAME DAY SHIPPING. 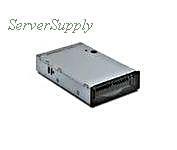 Dell - 2R713 DELL - LTO-1 100/200GB SCSI LVD LOADER WITH TRAY FH TAPE DRIVE (2R713). IN STOCK. SHIP SAME DAY. Dell - C7370-00906 DELL - POWERVAULT 110T 100/200GB LTO SCSI/LVD EXTERNAL TAPE DRIVE (C7370-00906). IN STOCK. SHIP SAME DAY. IBM - 39M5665 IBM - 100/200GB ULTRIUM LTO-1 SCSI LVD INTERNAL HH TAPE DRIVE (39M5665). IN STOCK. SAME DAY SHIPPING. 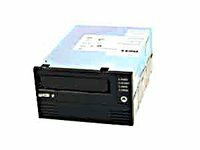 Hewlett Packard - Q1545A HP/COMPAQ - STORAGEWORKS ULTRIUM 215 LTO-1 100/200GB SCSI EXTERNAL LOW VOLTAGE DIFFERENTIAL TAPE DRIVE (Q1545A). IN STOCK. SHIP SAME DAY. Hewlett Packard - C7369-00820 HP/COMPAQ - ULTRIUM 230 100/200GB LTO-1 SCSI INTERNAL TAPE DRIVE(BARE DRIVE ONLY) (C7369-00820). IN STOCK. SAME DAY SHIPPING. Hewlett Packard - 303074-001 HP/COMPAQ - 100/200GB LTO-1 ULTRIUM 230 SCSI LVD/SE INTERNAL TAPE DRIVE W/TRAY (303074-001). IN STOCK. SAME DAY SHIPPING. Hewlett Packard - C7401A HP/COMPAQ - 100/200GB LTO ULTRIUM 230 SCSI LVD/SE EXT TAPE DRIVE (C7401A). IN STOCK. SAME DAY SHIPPING. 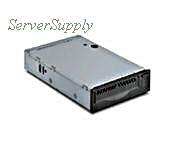 Dell - 965335-53 DELL - LTO 100/200GB SCSI LVD LOADER DRIVE FOR PV136T (965335-53). IN STOCK. SHIP SAME DAY. 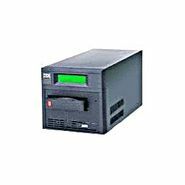 Dell - 0R945 DELL - 100/200GB LTO PV110T ULTRIUM EXT SCSI-LVD/SE TAPE DRIVE (0R945). IN STOCK. SHIP SAME DAY. Hewlett Packard - Q1543-67201 HP/COMPAQ - STORAGEWORKS 100/200GB LTO ULTRIUM 215 SCSI LVD INTERNAL TAPE DRIVE (Q1543-67201). IN STOCK. SAME DAY SHIPPING. 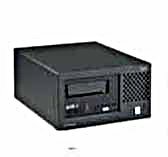 Hewlett Packard - Q1516A HP/COMPAQ - 100/200GB ULTRIUM LTO 230 SCSI/LVD EXTERNAL TAPE DRIVE (Q1516A). IN STOCK. SHIP SAME DAY. Hewlett Packard - C7420A HP/COMPAQ - 100/200GB ULTRIUM 215 KIT LTO SCSI/LVD INTERNAL TAPE DRIVE (C7420A). IN STOCK. SAME DAY SHIPPING. Seagate - STU42001LW SEAGATE - VIPER 200 100/200GB LTO ULTRIUM-1 SCSI/LVD INTERNAL FH STANDALONE TAPE DRIVE (STU42001LW). IN STOCK. SAME DAY SHIPPING. 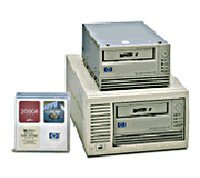 Hewlett Packard - Q1545-60001 HP/COMPAQ - STORAGEWORKS ULTRIUM 215 LTO-1 100/200GB SCSI EXTERNAL LVD HH TAPE DRIVE (Q1545-60001). IN STOCK. SHIP SAME DAY. 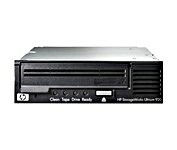 Hewlett Packard - C9264CB HP/COMPAQ - SURESTORE 8X200GB DLT VS80 LOW VOLTAGE DIFFERENTIAL SCSI EXTERNAL 8-TAPE AUTOLOADER DRIVE (C9264CB). IN STOCK. SAME DAY SHIPPING. Dell - 8G409 DELL - 100/200GB LTO-1 SCSI/LVD FH PV128T V1 TAPE DRIVE W/SLED (8G409). IN STOCK. SHIP SAME DAY. IBM - 08L9275 IBM - LTO 100/200GB SCSI/LVD INTERNAL HH TAPE DRIVE (08L9275). IN STOCK. SHIP SAME DAY. Dell - H0042 DELL - 100/200GB LTO-1 SCSI/LVD INTERNAL FH TAPE DRIVE (H0042). IN STOCK. SHIP SAME DAY. 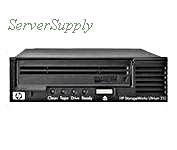 Hewlett Packard - C7470A HP/COMPAQ - SURESTORE ULTRIUM 230 100/200GB RACKMOUNT INTERNAL SCSI TAPE ARRAY DRIVE (C7470A). IN STOCK. SAME DAY SHIPPING. IBM - 08L9298 IBM - LTO1 100/200GB SCSI LVD/SE INTERNAL FH TAPE DRIVE (08L9298). IN STOCK. SHIP SAME DAY. Hewlett Packard - DW064-67201 HP/COMPAQ - 100/200GB LTO ULTRIUM 232 SCSI INT TAPE DRIVE (DW064-67201). IN STOCK. SAME DAY SHIPPING. Hewlett Packard - 249189-B21 HP/COMPAQ - 100/200GB AIT-3 INTERNAL LOW VOLTAGE DIFFERENTIAL SCSI 8MM 68 PIN TAPE DRIVE (249189-B21). IN STOCK. SAME DAY SHIPPING. Hewlett Packard - 252029-001 HP/COMPAQ - 100/200GB AIT-3 INTERNAL LOW VOLTAGE DIFFERENTIAL SCSI 8MM 68 PIN TAPE DRIVE (252029-001). IN STOCK. SAME DAY SHIPPING. IBM - 08L9371 IBM - 100/200GB LTO SCSI/LVD INTERNAL TAPE DRIVE (08L9371). IN STOCK. SAME DAY SHIPPING. 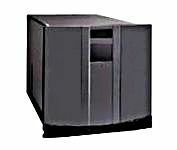 Seagate - STU42001WD SEAGATE - VIPER 100/200GB LTO-1 WIDE ULTRA SCSI-2 HVD INTERNAL FH TAPE DRIVE (STU42001WD). IN STOCK. SAME DAY SHIPPING. Hewlett Packard - C7470-69201 HP/COMPAQ - 100/200GB ULTRIUM 230M LTO 1 SCSI LVD INTERNAL TAPE MODULE(C7470-69201). IN STOCK. SAME DAY SHIPPING. Hewlett Packard - C9520-69108 HP/COMPAQ -100/200GB LTO HVD SCSI DRIVE MODULE(C9520-69108). IN STOCK. SAME DAY SHIPPING. 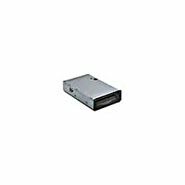 Hewlett Packard - 249158-006 HP/COMPAQ - 100/200GB AIT3 8MM SCSI LOW VOLTAGE DIFFERENTIAL INTERNAL TAPE DRIVE (249158-006). IN STOCK. SAME DAY SHIPPING. Hewlett Packard - DW064A HP/COMPAQ - 100/200GB ULTRIUM 232 INTERNAL LVD SCSI CARBON HH SPARES TAPE DRIVE (DW064A). IN STOCK. SHIP SAME DAY. Hewlett Packard - 249159-001 HP/COMPAQ - 100/200 GB AIT3 SCSI LVD CARBON EXT TAPE DRIVE (249159-001). IN STOCK. SAME DAY SHIPPING. IBM - 48P7016 IBM - 100/200GB LTO ULTRA2 SCSI LVD INTERNAL FH STANDALONE TAPE DRIVE (48P7016). IN STOCK. SHIP SAME DAY. 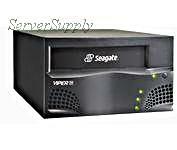 Seagate - STU42001LW-S SEAGATE - VIPER 200 100/200GB LTO ULTRIUM-3 SCSI/LVD INTERNAL FH TAPE DRIVE (STU42001LW-S). IN STOCK. SAME DAY SHIPPING. IBM - 00N8016 IBM - 100/200GB LTO SCSI/LVD INTERNAL FH TAPE DRIVE (00N8016). IN STOCK. SHIP SAME DAY. IBM - 59P6683 IBM - 100/200GB LTO ULTRA2 LVD SCSI FULL HEIGHT INTERNAL TAPE DRIVE (59P6683). IN STOCK. SHIP SAME DAY. IBM - 3584-1454 IBM - 100/200GB LTO1 ULTRIUM SCSI LVD TAPE LIBRARY (3584-1454). IN STOCK. SHIP SAME DAY. IBM - 37L5799 IBM - 100/200GB LTO SCSI/LVD INTERNAL FH TAPE DRIVE (37L5799). IN STOCK. SHIP SAME DAY. IBM - 08L9457 IBM - 100/200GB LTO-1 SCSI/LVD INTERNAL TAPE DRIVE (08L9457). IN STOCK. SHIP SAME DAY. Hewlett Packard - C9555A HP/COMPAQ - 100/200GB LTO1 SCSI HVD TAPE DRIVE W/TRAY (C9555A). IN STOCK. SAME DAY SHIPPING. 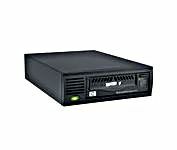 Hewlett Packard - STU62001LWS SEAGATE - VIPER 100/200GB LTO ULTRIUM SCSI/LVD EXTERNAL TAPE DRIVE (STU62001LWS). IN STOCK. SAME DAY SHIPPING. Hewlett Packard - C7377A HP/COMPAQ - SURE STORE ULTRIUM 215M 100/200GB LTO LVD/SE HALF HIGH INTERNAL SCSI 68 PIN TAPE DRIVE (C7377A). IN STOCK. SAME DAY SHIPPING. Hewlett Packard - C7377-60040 HP/COMPAQ - 100/200GB SURESTORE LTO-1 ULTRIUM 215M SCSI/LVD INTERNAL HH TAPE DRIVE (C7377-60040). IN STOCK. Dell - C7369-00906 Dell LTO-1 Ultrium LTO LTO1 100 200GB Internal LVD SCSI Tape Drive. PowerVault 09G767 04R338. Refurbished 6 Month Warranty. Hewlett Packard - 301901-B21 HP/COMPAQ - MSL5000 LTO-1 (ULTRIUM 230) 100/200GB LOW VOLTAGE DIFFERENTIAL/SINGLE ENDED (LVD/SE) SCSI INTERNAL TAPE DRIVE MODULE (301901-B21). IN STOCK. SAME DAY SHIPPING. Hewlett Packard - C9520-69102 HP/COMPAQ - LTO UPGRADE 100/200GB SCSI LVD TAPE DRIVE (C9520-69102). IN STOCK. SAME DAY SHIPPING. 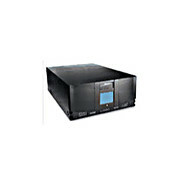 Sun - SG-XTAPLTO-DRV SUN - 100/200GB LTO-1 ULTRIUM SCSI/HVD L180/L700 FH TAPE DRIVE (SG-XTAPLTO-DRV). IN STOCK. SHIP SAME DAY. Hewlett Packard - DW065A HP/COMPAQ - 100/200GB LTO1 ULTRIUM 232 SCSI 68PIN EXTERNAL LVD U160 CARBON TAPE DRIVE (DW065A). IN STOCK. SAME DAY SHIPPING. IBM - 19P3978 IBM - 100/200GB LTO-1 SCSI LVD LOADER READY FH TAPE DRIVE (19P3978). IN STOCK. SHIP SAME DAY. Hewlett Packard - 257181-001 HP/COMPAQ - 100/200GB AIT-3 SCSI/LVD HOT PLUGGABLE TAPE DRIVE (257181-001). IN STOCK. SAME DAY SHIPPING. 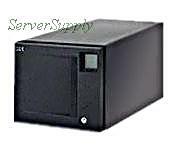 Dell - 07G681 Dell PowerVault 110T LTO1 LTO-1 Ultrium-1 Ultrium1 100 200GB LVD External SCSI Tape Drive. Refurbished Six Month Warranty. IBM - 3580L13 IBM - 100/200GB LTO ULTRIUM SCSI LVD 3580 EXTERNAL TAPE DRIVE (3580L13). IN STOCK. SHIP SAME DAY. 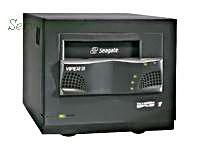 Seagate - STU62001LW-K SEAGATE - VIPER 200 100/200GB LTO ULTRIUM SCSI/LVD EXTERNAL FH TAPE DRIVE (STU62001LW-K). IN STOCK. SAME DAY SHIPPING. 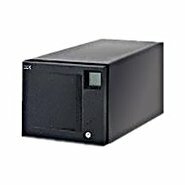 IBM - 3580-L11 IBM - 100/200GB LTO ULTRIUM 3580 SCSI/LVD EXTERNAL TAPE DRIVE (3580-L11). IN STOCK. SHIP SAME DAY. 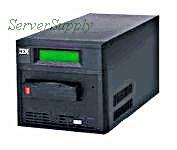 IBM - 09N4048 IBM - 100/200GB LTO ULTRIUM SCSI LVD FH UPGRADE XSERIES 330 LOADER READY TAPE DRIVE (09N4048). IN STOCK. SHIP SAME DAY. 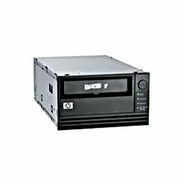 IBM - 3580H11 IBM - 100/200GB LTO-1 SCSI/HVD EXTERNAL TAPE DRIVE (3580-H11). IN STOCK. SHIP SAME DAY. Sun - 380-0683 SUN - 100/200GB LTO-1 SCSI/HVD L25/L100 LOADER MODULE TAPE DRIVE (380-0683). IN STOCK. SHIP SAME DAY. 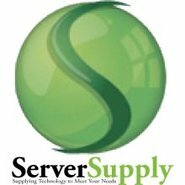 Sun - SG-XTAPLTO-MOD SUN - LTO 100/200GB SCSI HVD LOADER TAPE DRIVE (SG-XTAPLTO-MOD). IN STOCK. SAME DAY SHIPPING. IBM - 3581-H17 IBM - 100/200GB LTO ULTRIUM-1 SCSI HVD TAPE AUTOLOADER (3581-H17). IN STOCK. SAME DAY SHIPPING. IBM - 3581-L13 IBM - LTO-1 ULTRIUM 100/200GB SCSI LVD/SE AUTOLOADER TAPE DRIVE (3581-L13). IN STOCK. SHIP SAME DAY. 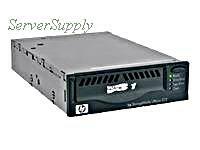 Hewlett Packard - 301899-B22 HP/COMPAQ - STORAGEWORKS MSL5060 2-LTO1 AUTOLOADER 100/200GB ULTRIUM SCSI EXTERNAL TAPE LIBRARY (301899-B22). IN STOCK. SAME DAY SHIPPING. 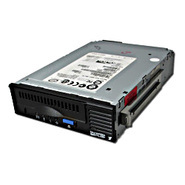 Hewlett Packard - 301899-B21 HP/COMPAQ - STORAGEWORKS MSL5060 LTO ULTRIUM 100/200 GB LOW VOLTAGE DIFFERENTIAL SCSI EXTERNAL (NO DRIVE) TAPE LIBRARY (301899-B21). IN STOCK. SAME DAY SHIPPING.